When moving out of your rented property, you will have to take care of its good condition and if you decide, you can rely on professional help for that. We are a cleaning company based in St John’s Wood and our aim is to be 100% helpful for the tenants who want to leave the end of tenancy cleaning in our hands. For the aim, we have the best cleaning team, in which every our cleaner is not only qualified and skilled, but also dedicated to his job. Due to the fact that we believe that cleaning doesn’t have to wait and has to be done as frequent as possible, we work 7 days a week on a full-working time. We want to be always available for our customers and for that aim we also have a flexible schedule which allows us to serve them on their convenience. So, if you choose to leave the dirty work in our hands, you can be sure that we will be ready to clean your rental at a time that suits you and no matter how busy we are for the day, you can be sure that we will find a way to fit you in our schedule. We cover the entire region of St John’s Wood and our specialists will arrive just on time to your location. The cleaning process will take only a couple of hours and the size of your property will not matter, because all our cleaners are trained to do their job both fast and efficiently. We guarantee that the results from our services will meet your expectations to the fullest for two reasons – we are experts in the cleaning sphere and we always stick to the requirements of our customers. In this way a re-cleaning will not be needed, but if after all your landlord is not completely satisfied, you can call us again and our team will get back to clean the specific area again. 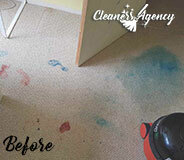 You can take advantage of this option up to 3 days after the first cleaning process. Choose our services if you want to be served by cleaning company number one in St John’s Wood. 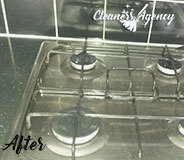 Your end of tenancy cleaning service, in one word – brilliant. The housekeepers were very flexible, diligent, trustworthy and hard-working. They managed to do all the work in no time at all which would probably have taken me a few days. I cannot recommend you enough, it is impossible. If you are trying to be on top of every cleaning chore but you don’t have the time to complete every single one of them, then you should definitely give Cleaners Agency London a call. We have been working in the cleaning business for many years and we promise you that we can provide the best cleaning services in entire London. 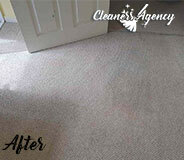 The reason for our excellent performance is the quality of our cleaning equipment and solutions. We do not compromise with our commercial cleaning tools and this is why we are sure that we can clean even the toughest stains in an instant. We hope that you will give us a chance to prove you our excellence. 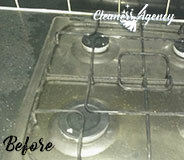 We will work hard to provide the most satisfying professional cleaning service in London. We will always pay special attention even to the smallest detail and we will comply with your busy schedule and personal needs. When time comes for you to move out, consider booking a professional end of tenancy cleaning, because you will have tons of things to deal with and you might not get the expected by your landlord results. As a professional cleaning services provider for the whole area of St John’s Wood, we offer the highest quality of the end of tenancy cleaning for any type of properties. The price is affordable, our cleaning experts are attentive and more than efficient, the results are more than impressive and long-lasting! Trust our professional approaches and safely leave your rented property in our hands and we promise to get you back your deposit money!